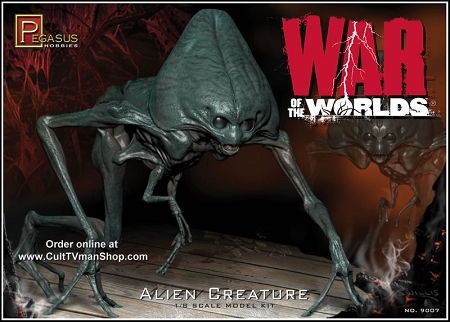 War of the Worlds Alien Creature from Pegasus Hobbies comes from the 2005 movie. This 1:8 scale figure is 7 inches when built. 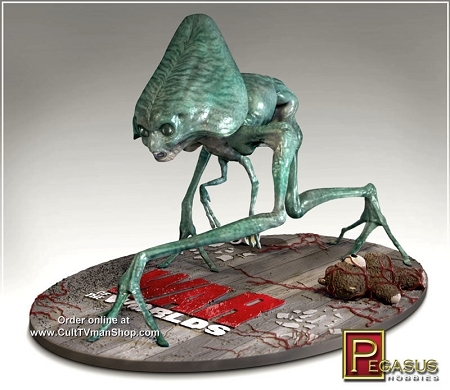 It is made of vinyl, with semi poseable plastic limbs and a styrene base. It comes with two neck parts to build in different poses.